And banking is changing with it. Is there life beyond balance transfers? Or, what happens at re-price? Retention is a good thing - but it's not for everyone. Issuers pass the pain along. Just decide what behaviour you want to encourage. Managing for the credit crunch. When is it right to charge a fee? Got a problem? Think it through. How much is your rewards programme worth? Here's a new source of profitable business. 6 rules for getting the most value out of your card acquisition budget. The rules that successful issuers are following. Is your product good enough? 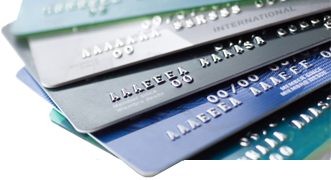 What effective card marketing programmes all have in common. Using information to build profitability. What happened to all the good ideas? Maximising profit the right way. What's the 400lb gorilla in the card issuer board room? The problem that dare not speak its name. How to find and influence them. There's a Cinderella in your portfolio. What keeps US bankers awake at night? …except when it's a phone. The dangers of focussing on price-cutting. How savvy issuers get value from loyalty.